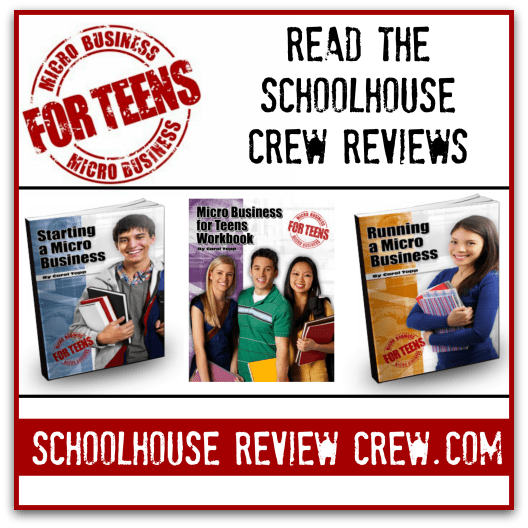 The Old Schoolhouse team of reviewers has been looking over the Micro Business for Teens books. Brandi at BrandieRaae.com wrote “These are the kinds of books that are about real-life learning. It’s easy to get into a curriculum rut where it’s all about the books and getting paper assignments done, but these books encourage children to think outside the box and get them contributing to society at an early age.” She included photos of the pages her 12 year old son filled out in the Workbook. Amy at Homegrown Hatfields says, “The Micro Business for Teens Workbook was a wonderful tool for making sure that Brendan was understanding the concepts taught.” Then she included some photos of her son’s workbook pages including his business card design!